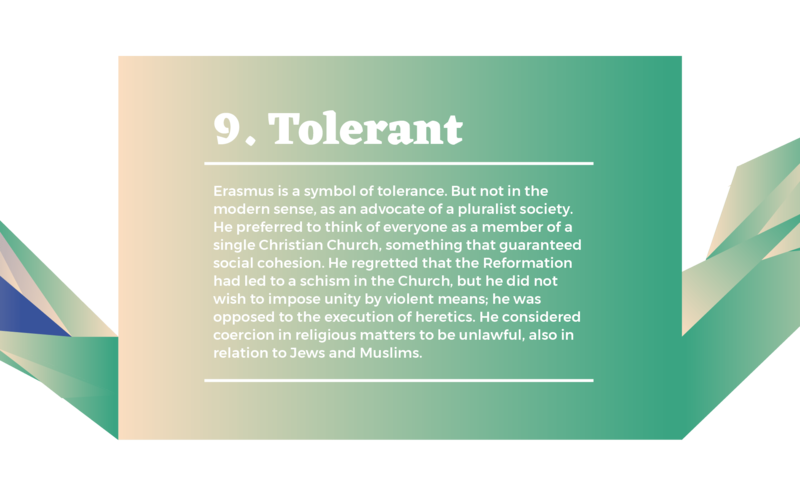 Freedom of speech, respect for others, knowledge and culture, tolerance and education. 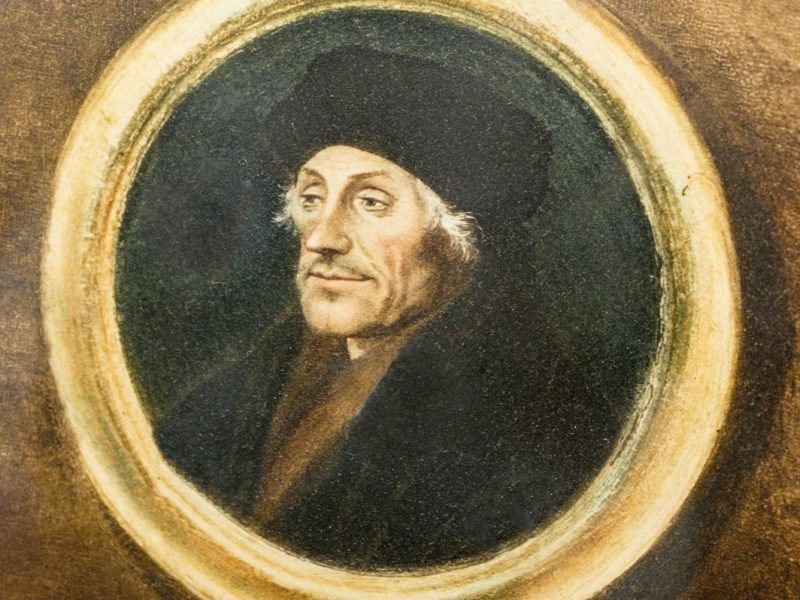 Desiderius Erasmus Roterodamus always considered himself to be a son of Rotterdam. 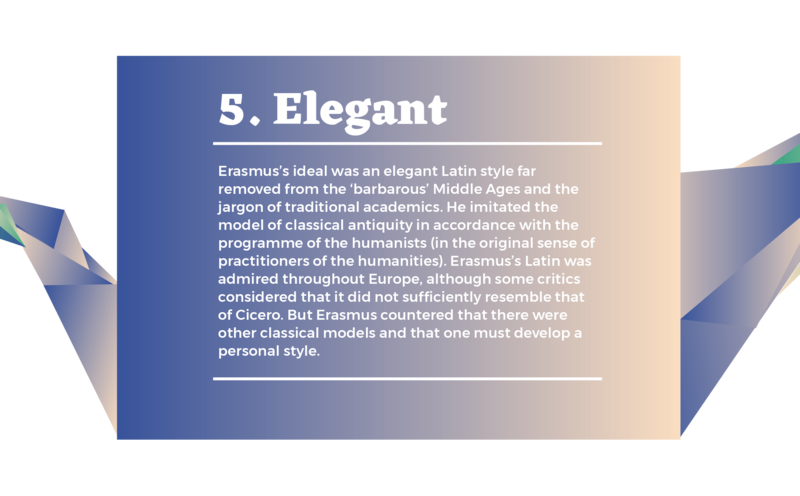 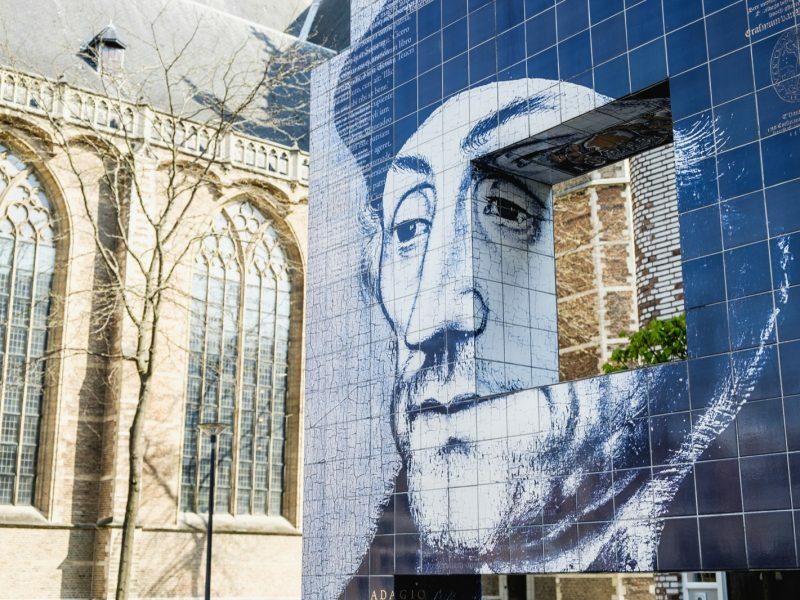 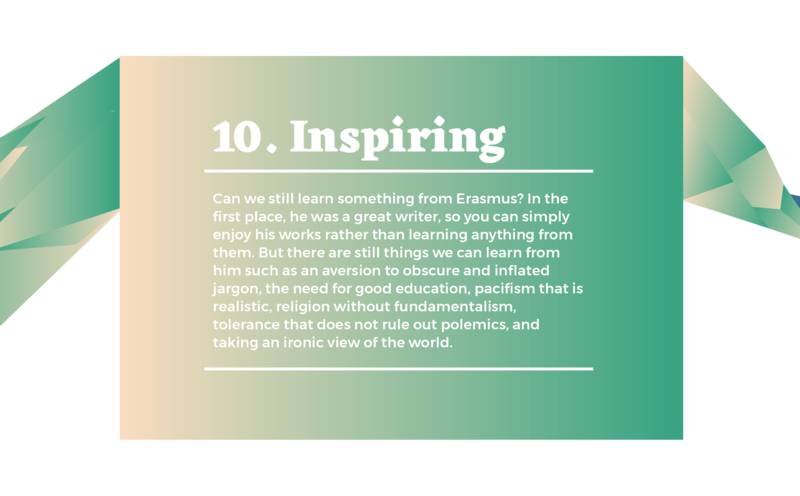 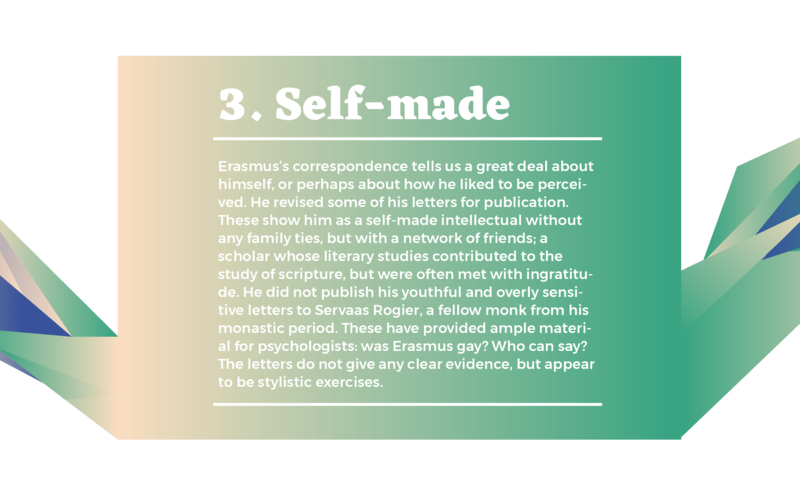 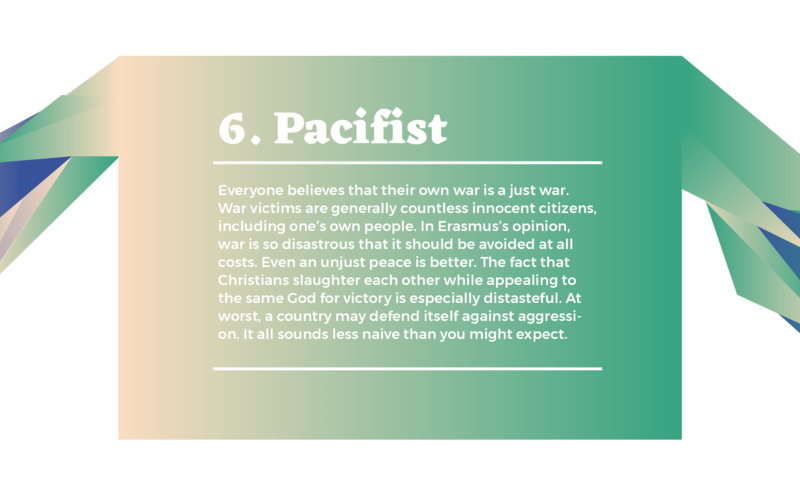 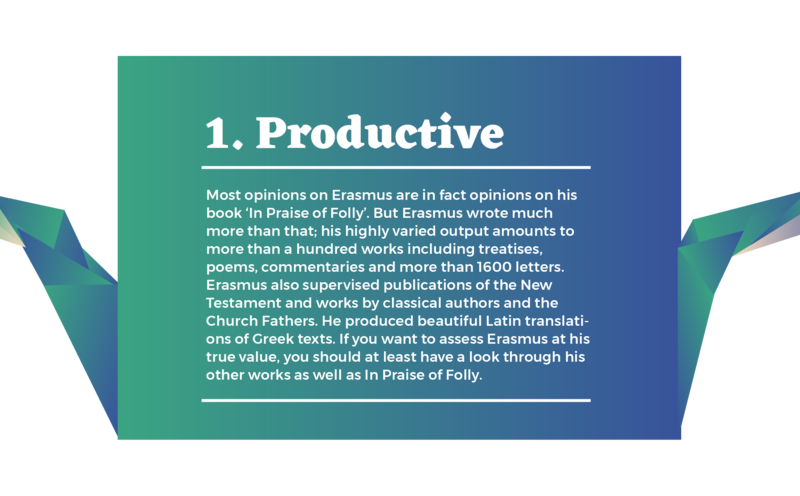 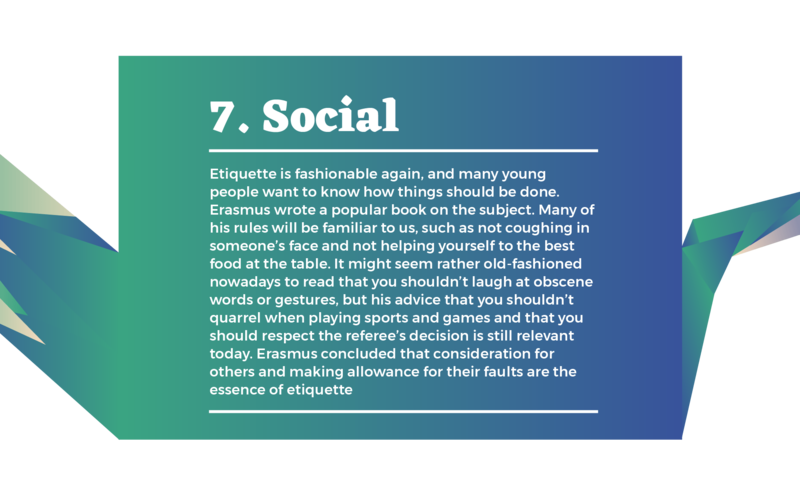 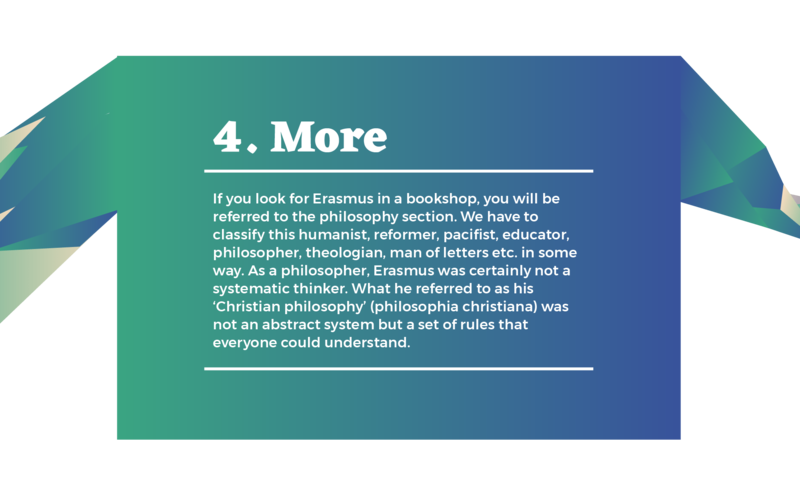 You can still learn a great deal from Erasmus’s philosophy of life, even after 500 years.